⋅ Prostate-specific membrane antigen (PSMA) is expressed by unfavorable types of prostate cancer (PCa). 177Lu-PSMA-617 radioligand therapy was an effective treatment for patients with metastatic castration-resistant (mCR) PCa who have failed established systemic treatments. 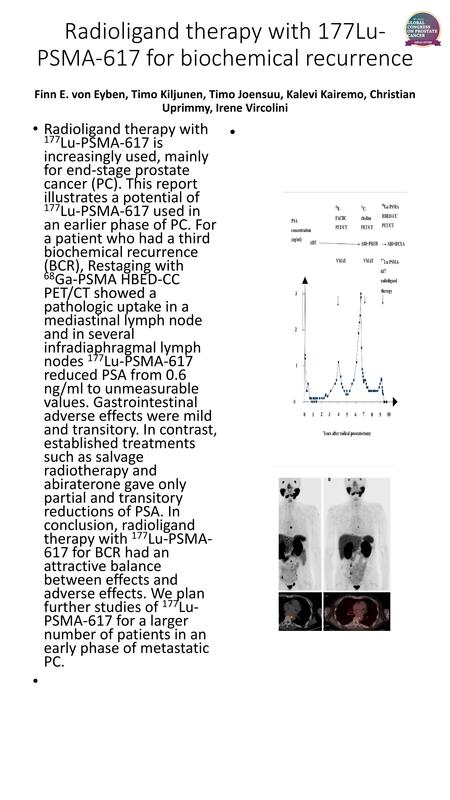 ⋅ In this case report, 177Lu-PSMA-6!7 radioligand therapy was instituted for the third biochemical recurrence (BCR) and the outcome was compared with those of two previous episodes of BCR. 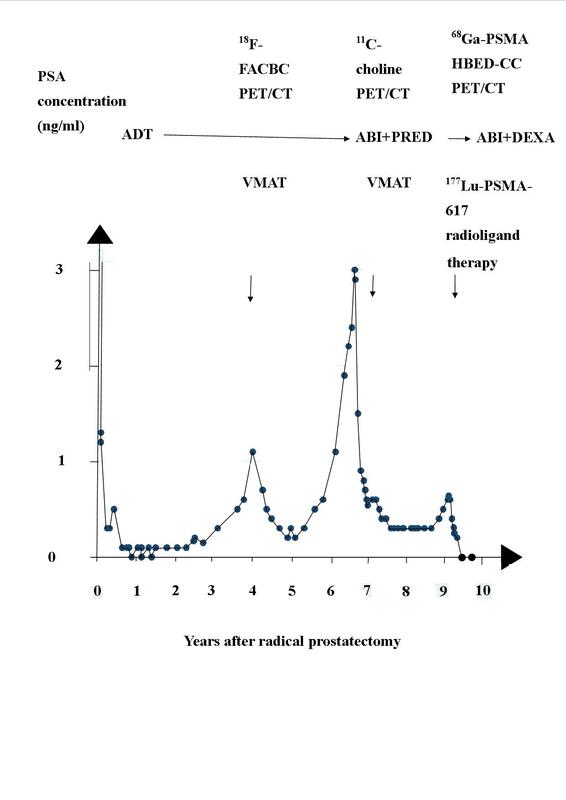 ⋅ 177Lu-PSMA-617 radioligand therapy for the third biochemical recurrence (BCR) lowered PSA from 0.6 ng/ml to unmeasurable values six months later. The first and second BCR had been treated with salvage radiotherapy and abiraterone. These treatments had only given a partial and transitory reduction of PSA. ⋅ It is questionable that it is best to reserve 177Lu-PSMA-617 radioligand therapy for only patients with mCRPCa who have failed systemic treatments.